I bought the Canon Vixia HF200 (HF20) and recorded video. I removed the memory card and hooked it up to my USB adapter to load the videos into my PC. I tried importing the video file to Windows Movie Maker for editing, but failed. The file type is .MTS. What do I need to do? How do I get my videos loaded onto my pc for editing? Windows Movie Maker cannot read MTS file. If you want to import it to Windows Movie Maker for editing, you have to convert it to other formats first, such as WMV. And it's easy to do so. All you need is an MTS to WMV Video Converter. Load MTS files to the file list by clicking Add Files button on the top left corner of the interface. This MTS to WMV Converter supports batch conversion, so you can add several videos at one time to convert. 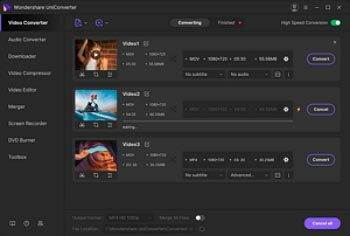 This MTS to WMV Converter can help you rotate video, crop video, cut video, add various cool effects/subtitle/watermark, and even merge several videos into a big video before the conversion. All you need is to click the editing icons under the video thumbnail. Click the icon from the Target box and select Video tab, choose WMV in the left sidebar and select the video resolution in the right to confirm the output format. After setting the format, you can click Convert to start MTS to WMV conversion. And the the rest will be accomplished automatically by the smart software. Now, you can enjoy your WMV videos as you wish. Of course, you also can extract the audio from your videos if you have a need. 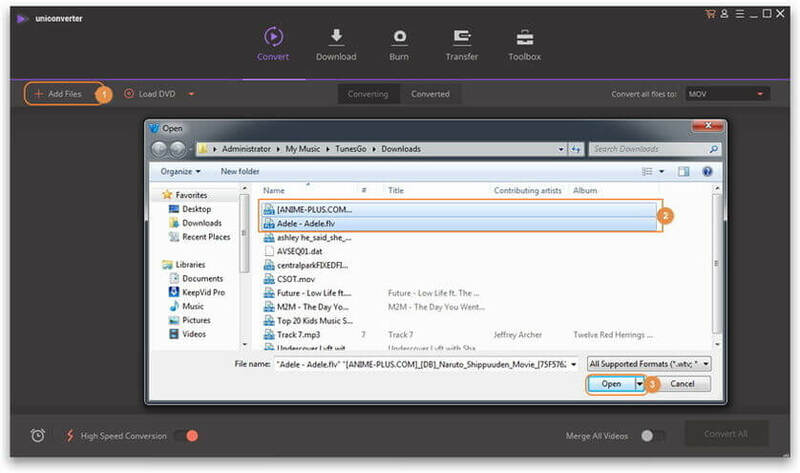 This MTS to WMV Video Converter allows you to convert audio to popular formats. MTS is a high-definition mpeg stream video format. It is commonly called AVCHD, which stands for Advanced Video Codec High Definition. MTS is based on the MPEG-2 transport stream and supports 720p and 1080i HD video formats. It is used by Sony, Cannon, Panasonic and other HD camcorders. Convert M2TS/MTS to MPEG: Learn how to easily and quickly convert files in M2TS or MTS to MPEG files with loss-less quality on Windows/Mac OS. 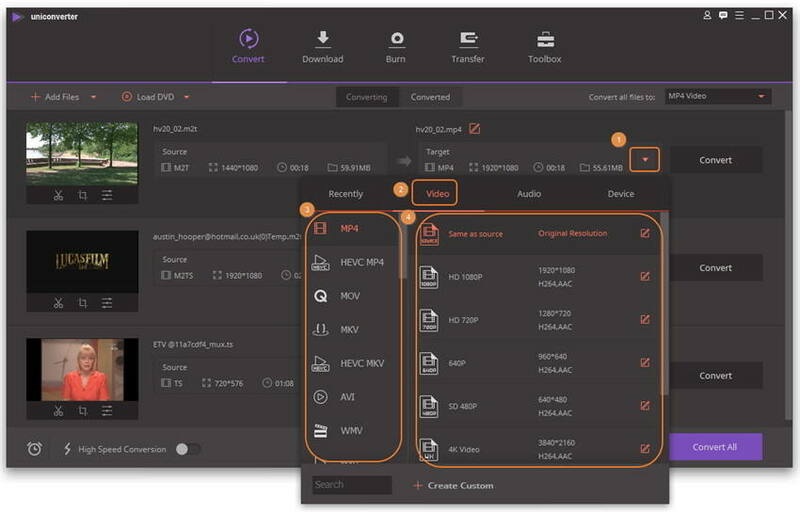 Free MTS Converter : Wondershare Free MTS Converter is especially designed for converting High Definition video (MTS, AVCHD, M2TS, TS etc) to any common video and audio format. Convert MTS to ProRes: Want to convert MTS to ProRes for smooth editing in FCP, iMovie, or Adobe Premier? Get the best solution here.